To escape the rain I crossed the mountains and went to Hiroshima. This city is very impressive. Despite the bad things in 1945 the city never ceased to exist. People build new homes and never left the place. American scientists said there will not be life in this place for the next 50 years, but one year later the first plants were growing again. Its overwhelming to see the force of nature, the will to survive, to fight for life. Even in people we can see this natural habit. The city is fresh and alive. It carries the scar with pride. They build a big peace park near the blast center, with museums and monuments reminding every visitor of this mad times. I hope something like this never happens again. 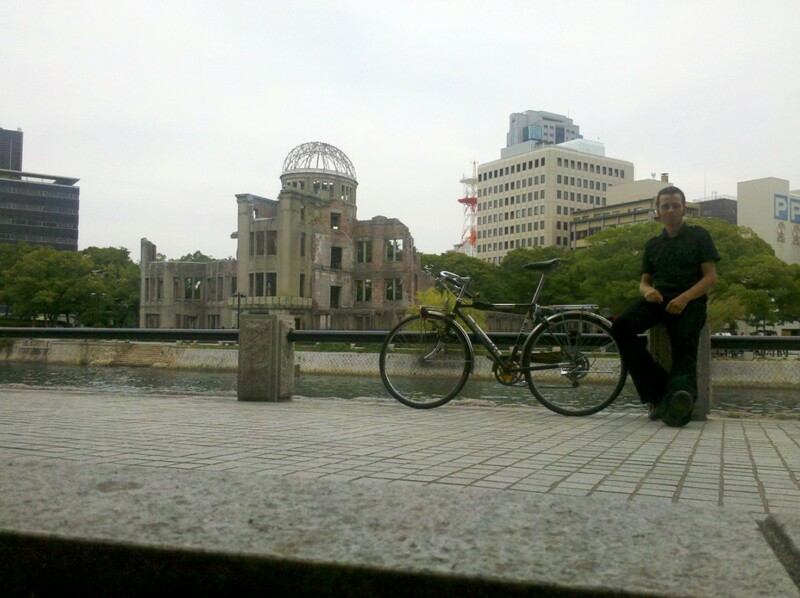 ^^ the atomic bomb dome, former exhibition hall of industrial trade products of Hiroshima prefecture. It was just a few hundred meters from the center of explosion, but survived somehow. Its the last building from that day thats still in its shape. People discussed for a long time, if they should keep it that way. Until the late 60s it was not decided, if it will be removed. Now its a world heritage place and warning for future generations. 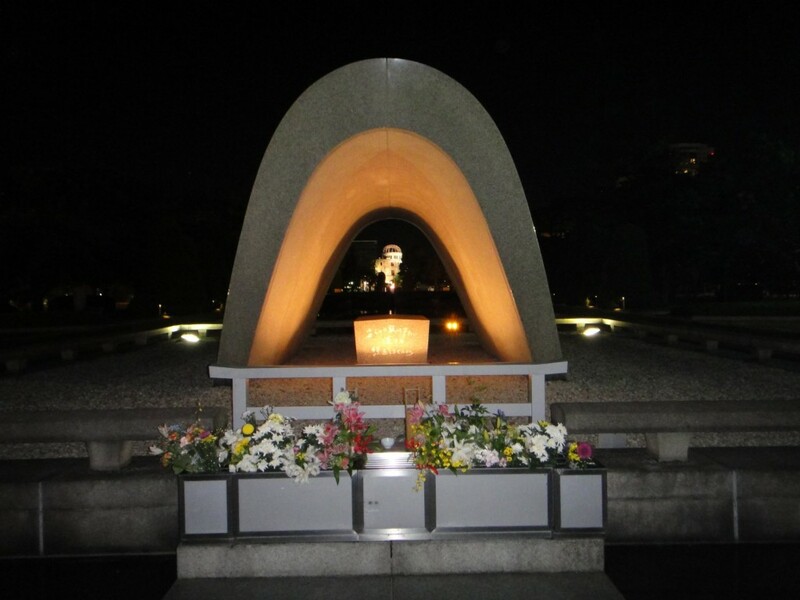 ^^ The Kenotaph, symbolic grave for all people who died in from the bomb. A lot of people were never found and more died later. Inside is a list of all these people and the number of names is something above 290.000 now. ^^ the red marker on the left indicates where the bombwent off. 600m above ground. As you can see, most of the city center was destroyed. Some 80.000 people died instantly, up to 160.000 until 1946. There are a lot of artifacts, pictures and peoples stories in the museum. 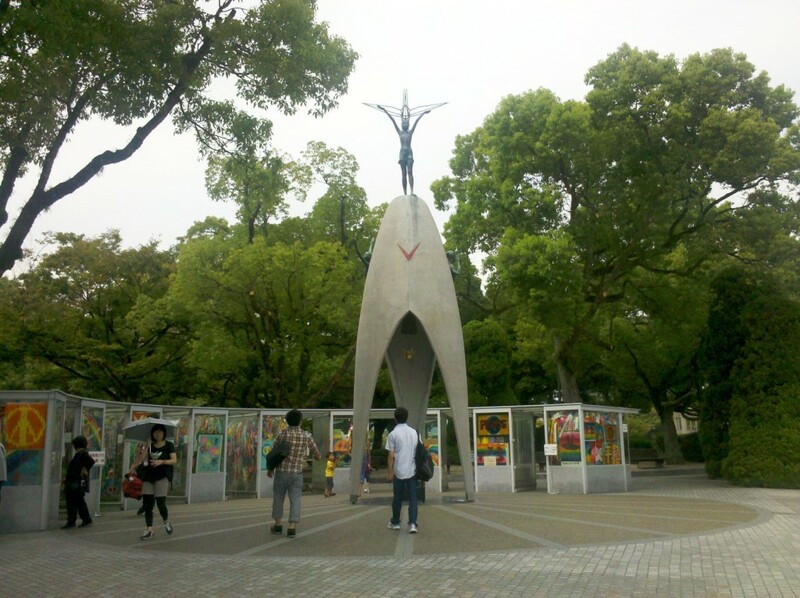 If you are in Hiroshima, you should go and visit it. 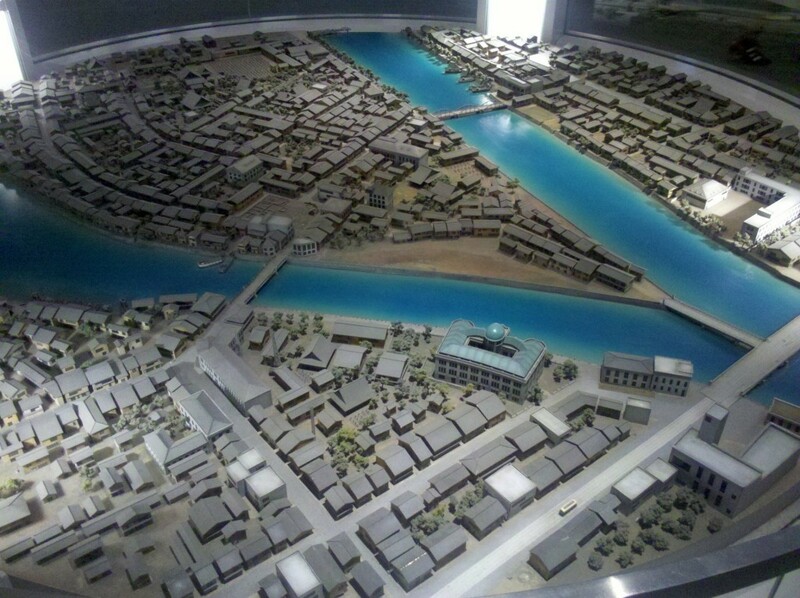 Nagasaki was hit a few days later. 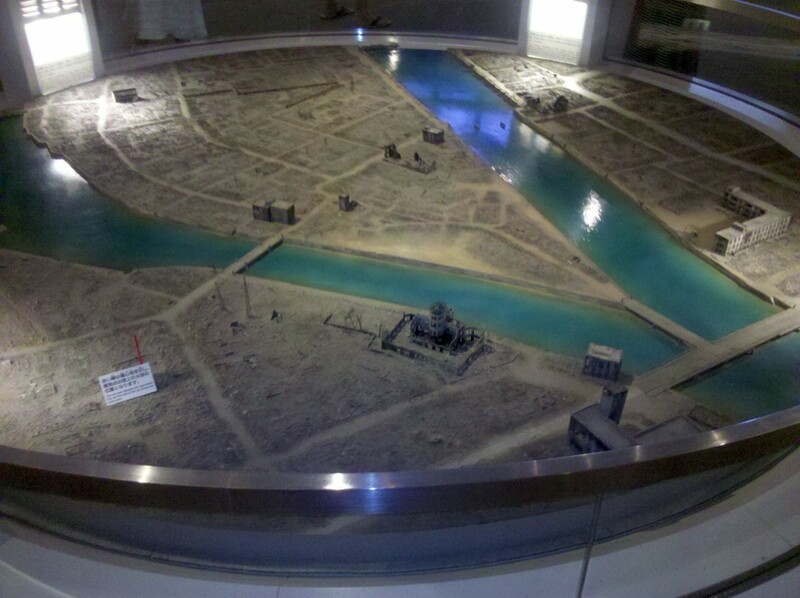 The bomb missed its original aim, the Mitsubishi industrial yard, completely and hit the city. 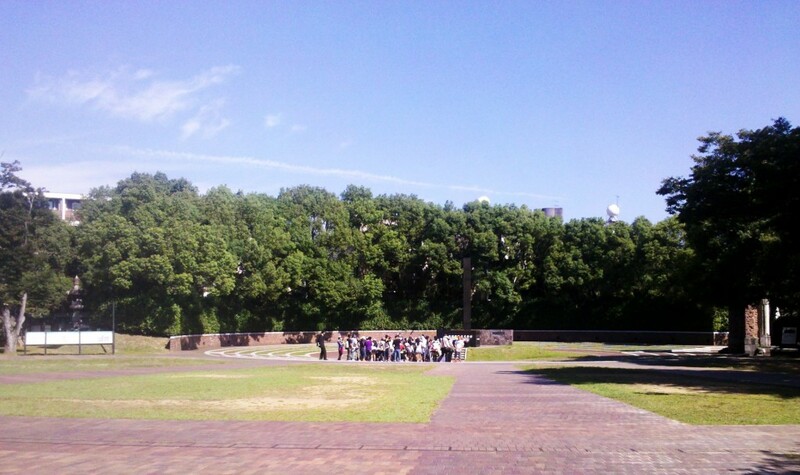 Today there is also a peace park here. 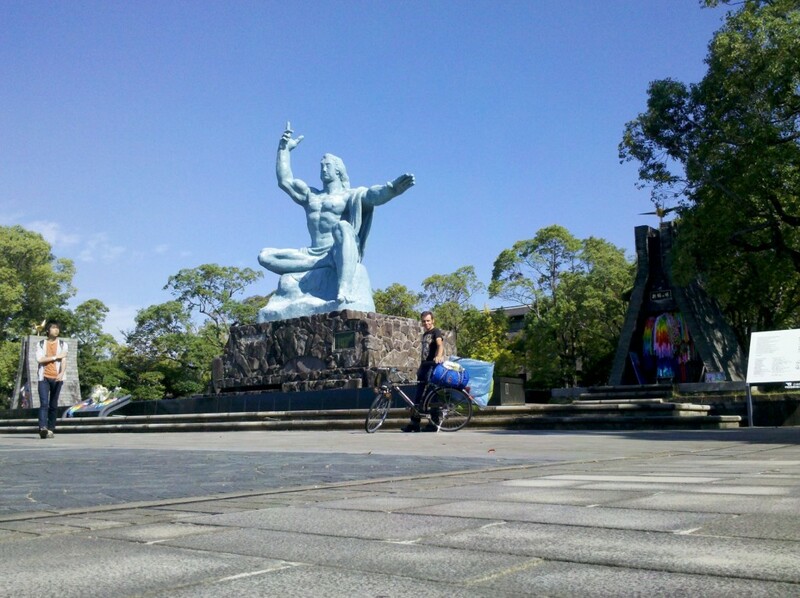 There is a central area with the monument for peace and a hughe fountain. 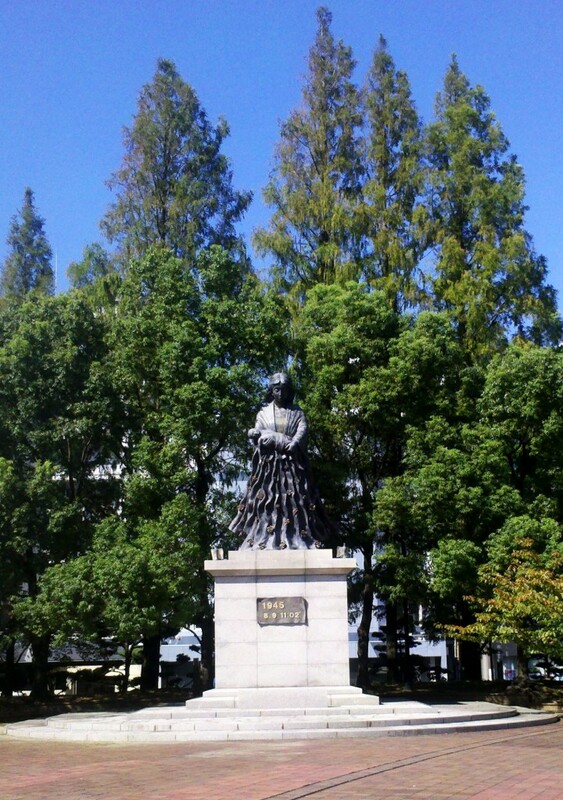 around this place are lots of statues, given by foreign countries. Some museums are near by. One statue was given by the east germany in 1981. I forgot to take a picture …..
Today the city is rebuild and no one would think all this happened here too. Radioactivity in both places is back to normal background dose from cosmic and natural radiation. ^^ Ground zero. 20.000 died instantly, some 70.000 until 1946…. 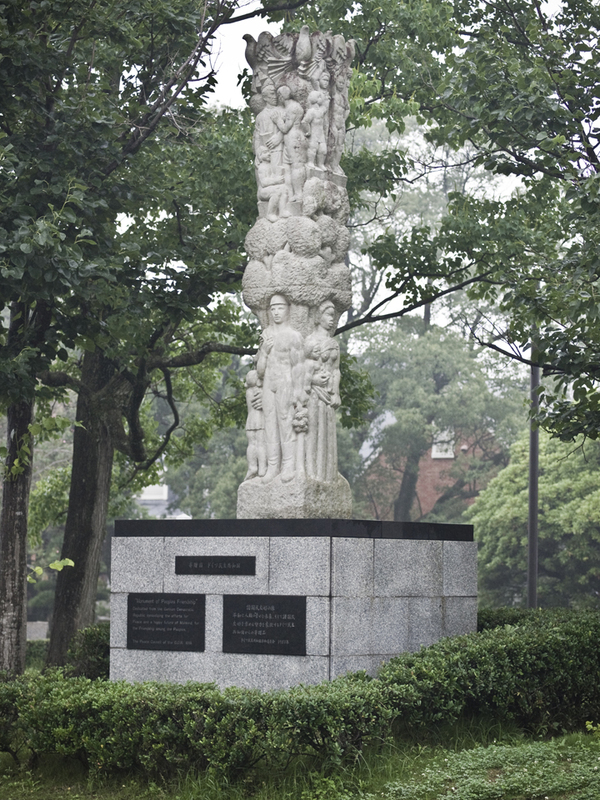 I learned Magdeburg was in a city partnership with Nagasaki, before Germany was reunited and they sent a copy of our statue to Nagasaki.